The common thinking about the recent oil crash is that there is a glut of oil on world markets - over-supply - causing prices to tumble. Combined with Saudi Arabia's stubborn policy of maintaining its production levels and a slowing global economy, it would seem to be a case of simple Economics 101. The oil crash was inevitable because of market factors. But not so fast. Fracking and OPEC Strategy may not be the main influences on oil prices. 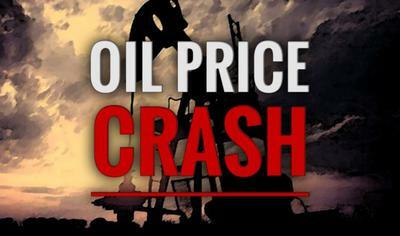 Many are starting to understand and appreciate the effect of government policy on oil prices. Although the powerful fossil-fuel lobby continues to have its tentacles deeply embedded in politics in both the U.S. and Canada, there is growing evidence of the role of governments in making the transition to a low-carbon future. "Subsidies, particularly production subsidies, can have a big impact on the price of oil, but I think there is little understanding of that in the media," says Steve Kretzmann, the Executive Director for Oil Change International. With fossil fuel subsidies amounting to $1.9 trillion annually including "negative externalities," according to the IMF, you can be sure that government policy impacts oil price, a lot. Furthermore, Steve Kretzmann remarks that he thinks "markets are about expectations and expectations are shaped by policy and the possibility of policy. "The UNFCCC and virtually all national governments profess to be working towards limiting climate change to no more than 2 degrees Celsius. This is for very good reason -- climate scientists are clear that warming beyond this point could bring severe disruptive impacts to our ecosystem and our economies." Whether we're ready to admit it or not, future oil legislation is being priced into the market. This post consists of excerpts from an article by JL Morin previously posted on Boomer Warrior.